A sunflower image with a note "Happy Sunday My Dear Friend" to wish and deliver your Sunday greetings to your beloved friends. Wish your lovely friends have a bright and big Sunday as the Sunflower. 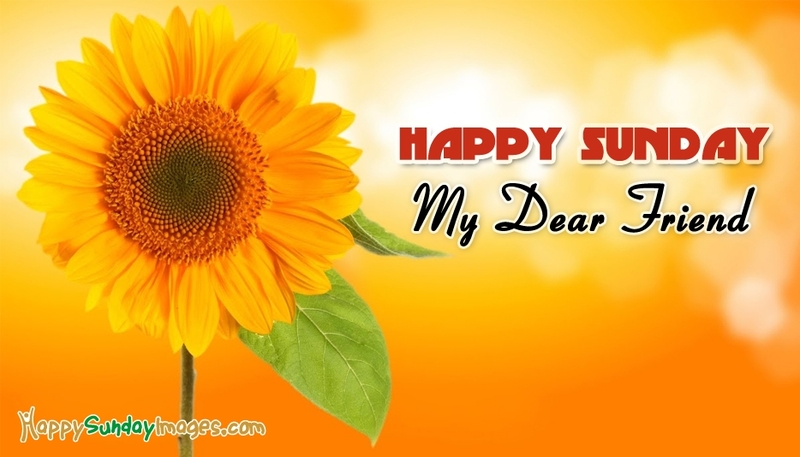 Share this Sunday greetings on your Facebook, Whatsapp or Twitter pages to wish all your friends a Happy Sunday.